The3dForce: Can we the people curb gun violence? another discussion how to eliminate gun violence. This is why I wrote a half of a year ago. On October 3 Leah Libresco has published this piece. The gist of this paper is: “so many gun deaths are suicides and gang related shootings, so there I no way any gun restricting policy can do anything about it”. The ending of this paper: “I am frustrated”. What is this paper really about? First thing to do is accepting the fact that the Second Amendment is NOT about the right of people having weapons. The Second Amendment is about the right of people to defend their rights against oppressive forces. A weapon is considered to be an instrument people have a right to use for defending themselves. 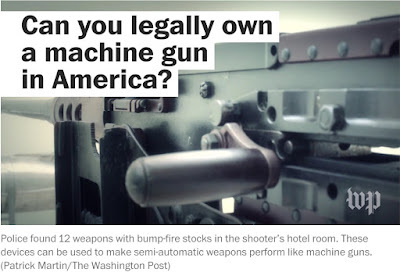 The second thing to do is accepting the fact that overtime personal weapon has turned from an instrument of a self-defense into a toy, and even into a fetish. As the result, the access to weaponry has exceeded any meaningful limits. The third thing to do is to start a discussion about restoring the original meaning of the Second Amendment and placing meaningful limits on the access to weaponry, limits which defined by the right to a self-defense. I believe, within those limits no single individual should have an arsenal in his or her house. This paper got almost 9,000 comments. Many say that nothing is going to happen, that soon enough we will see the next massacre. I agree that nothing is going to happen any soon. But that is exactly what the gun lobby wants us to believe, so we would just give up. On November 8, 2016 American people had demonstrated that they can do things NO ONE would expect from them! Whether we like it or not, but that is just a fact of our history. That gives me an assurance, that with the right approach, American people can tackle the gun lobby down. 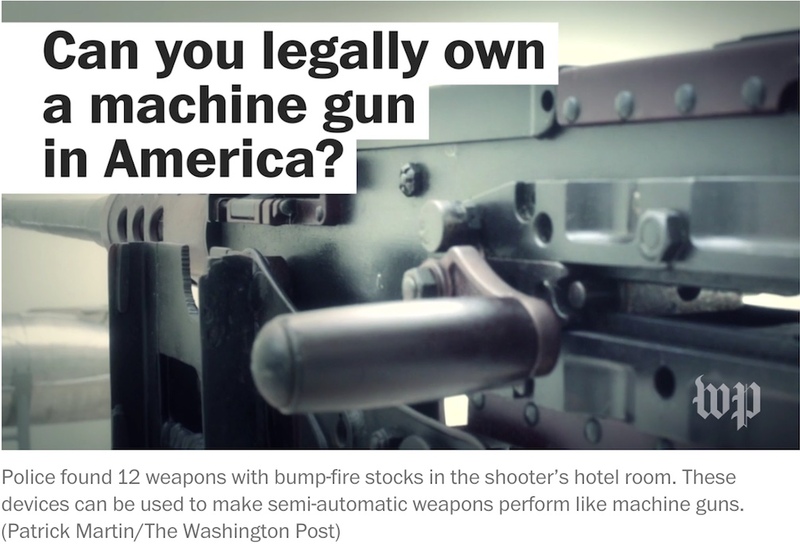 This question requires a long dispute, a hot discussion between many people who agree on the final goal – bring down the risk of mass shootings to the minimum. First, for a foreseeable future the gun laws can be improved only on a state to state basis. Naturally, there should be no loopholes on sails without registration and background checks: all weapons must be registered, in the way all cars are registered by RMVs. At least, we will be able to see those folks who gather so much weapons that it becomes suspicious (for everyone who is not in the business of weaponry, hoarding guns is a sign of mental instability). The second idea is treating guns like cigarettes - if it cannot be banned, at least make some money of it - let's triple the sale tax on all guns, let's make guns too expensive! The third possibility is making all weaponry to disappear - not actually, but just from the view. Why do we have to cover bottles with alcohol but allow to show off guns?! Why do we have non-smoking territories but guns can be seen anywhere? If a militia is allowed it does not mean guns should be allowed everywhere. Keep your guns in such a way that NO ONE can see them - unless you have a special permit (as a hunter, or a policemen, or a private eye). What is the most surprising to me is that anti-gun activists seems don't know the psychology of the fellow Americans. Even reasonable people in America resent anything with the word "control" in it - it is against American spirit! So, for starters, just stop calling it "gun control"! Find a better name, like "wise usage of personal weaponry". Unfortunately, progressives generally ignore human psychology. That is why they only appeal to people who are already agree with their ideas, and do not appeal to people who have to converted! provides an illustration of the importance of human psychology in science! If psychology is important in science, it is hundred times more important in politics! FOX news have figure it out long time ago. Progressives, though, still stick to their old fashion ways of doing politics.